Judge Brett Kavanaugh forcefully denied the allegations against him Thursday in his opening statement during a Senate Judiciary Committee hearing. 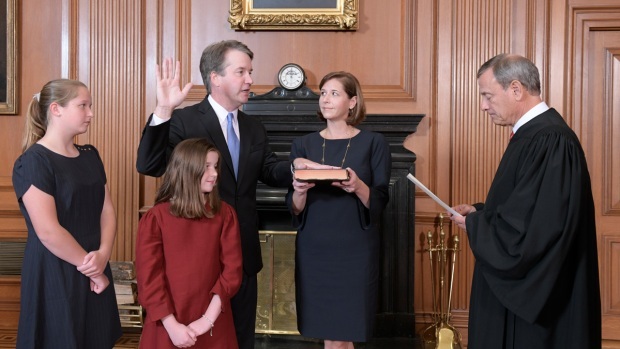 To some, Brett Kavanaugh is clearing his name. To others, he's veering into conspiracy theory. President Donald Trump ordered an FBI background investigation into sexual misconduct allegations against Supreme Court nominee Brett Kavanaugh to take place before the full Senate votes on his confirmation. The FBI interviewed witnesses, including Kavanuagh’s high school friend Mark Judge and accuser Deborah Ramirez. Others have said they had information to contribute to the FBI’s investigation. Here you’ll find a selection of interviewees or people who wanted to contribute.